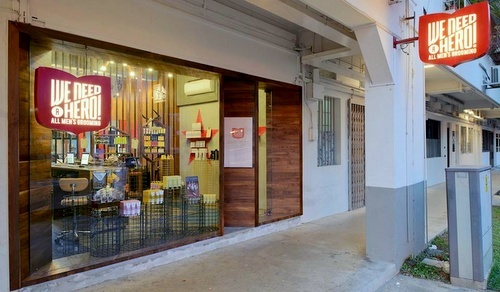 Male grooming centre & barbershop We Need A Hero operates within Tiong Bahru Estate, at 57 Eng Hoon Street. We Need A Hero, a brand created by Spa Esprit Group, is an all rounded male grooming and retail experience that has perfected the formula for grooming ordinary men into celebrated heroes. The barbershop’s service range extends past hair cuts and shaves to body waxing, eyebrow shaping, and head and shoulder massages, all focused on keeping the customers in great-looking condition. First impressions are important, and We Need A Hero can prepare you for them with barber services such as haircuts, hair colour, scalp treatments, basic shaves, complete shaves, moustache & beard trims & beard designs, massages, as well as facials. Furthermore, for your brows, the available alternatives feature thread & tweeze, colouring, forehead threading, cheeks threading, and full face threading. …navel, full back, buttocks, half leg ‘bottom’, half leg ‘top’, full leg, crack, boyzilian, back, sac & crack, ears, nostrils, jawline, chin, upper lip, lower lip, and sideburns. Additionally, We Need A Hero has grooming products (hair, shave, body, face, post-treatment) available for sale so that you can replicate the salon experience at home. There’s also a retail concept store located at the back of the barbershop, Hero’s Den, which carries labels like Atlier Shoes, Ksubi Sunnies, and Hats of Cain. 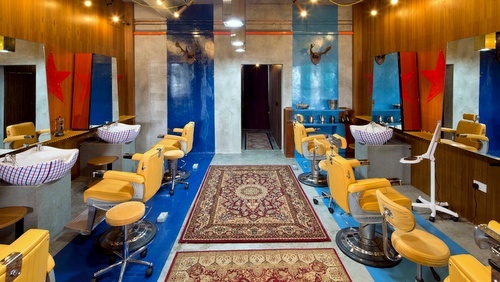 The official Facebook page for We Need A Hero barbershop is available at www.facebook.com/weneedaherosg. Following the Facebook page, you’ll stay updated on the barbershops promotions, behind-the-scenes information, media coverage, and much more.